Boasting a sauna and an outdoor pool, Pousada Porto Itagua offers comfortable accommodations with free Wi-Fi in Ubatuba. With breakfast included, it is beach front and also offers barbecue facilities and a 24-hour reception. Air-conditioned rooms at Porto Itagua feature a flat-screen TV with cable channels, fan, wardrobe, mini-bar and private bathroom with a hot shower. Ubatuba Bus Station and its city center are 2.5 mi away. 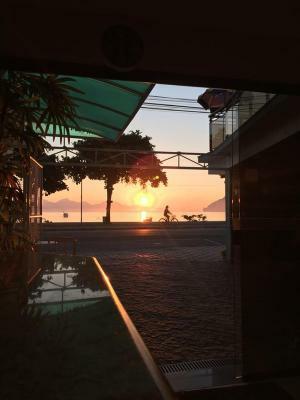 Shopping Porto Itagua is 150 feet away and Ubatuba Aquarium is 650 feet from the property. Tamar Project is 1,000 feet away. 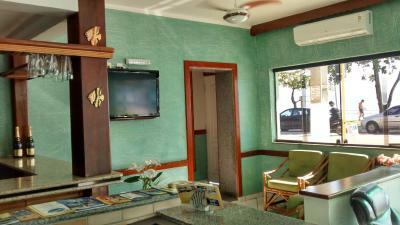 When would you like to stay at Pousada Porto do Itagua? This air-conditioned room features a flat-screen TV with cable channels, fan, wardrobe, mini-bar and private bathroom with a hot shower. Cleaning services are performed every day. House Rules Pousada Porto do Itagua takes special requests – add in the next step! Any additional children or adults are charged BRL 100 per night for extra beds. Pousada Porto do Itagua accepts these cards and reserves the right to temporarily hold an amount prior to arrival. We need at least 5 reviews before we can calculate a review score. 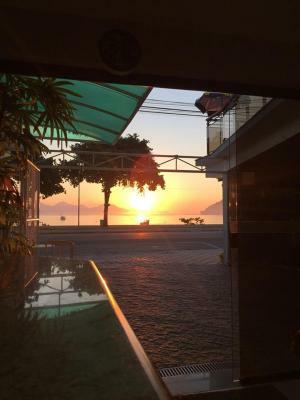 If you book and review your stay, you can help Pousada Porto do Itagua meet this goal.